Having had a rant in yesterday's blog about the amount of food that we Brits waste each year, it is rewarding to hear that one restaurant is taking decisive action to reduce their customers food waste. An all-you-can-eat Indian restaurant in Dundee (above) is fining diners who leave too much food on their plates an extra £2. 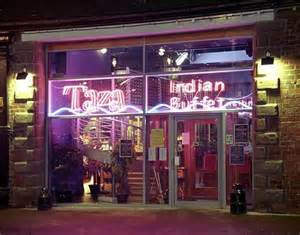 The Taza Indian Buffet, which offers unlimited food for £14.99 is tired of throwing away 600Kg of leftovers every week. Now diners are given a measuring card with a four-inch square cut out of the middle. This explains that they will be charged extra if the food left on their plate does not fit in the hole. Bosses at the restaurant are reported as saying that the majority of their customers were supportive of the move. And so they should be! 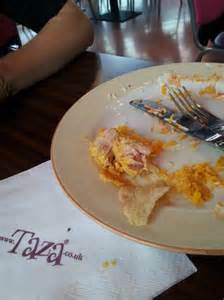 Well done to the Taza, let's hope that more restaurants follow suit!